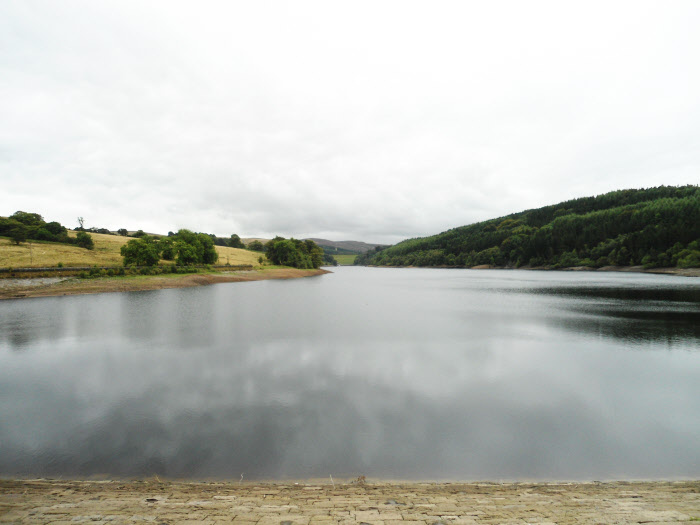 Fernilee Reservoir, from the dam. 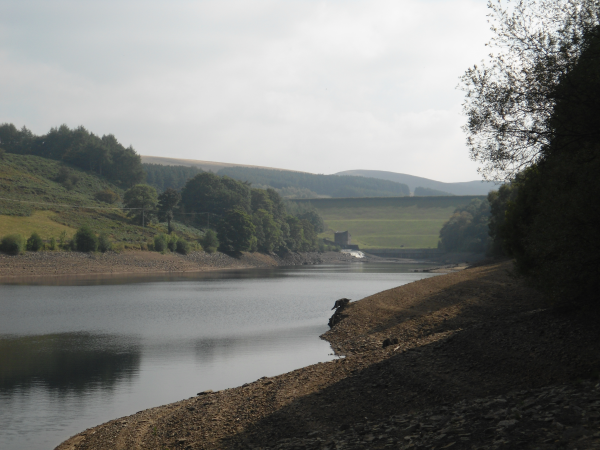 Errwood Dam can be seen in the distance. This comment was posted on the forum………. 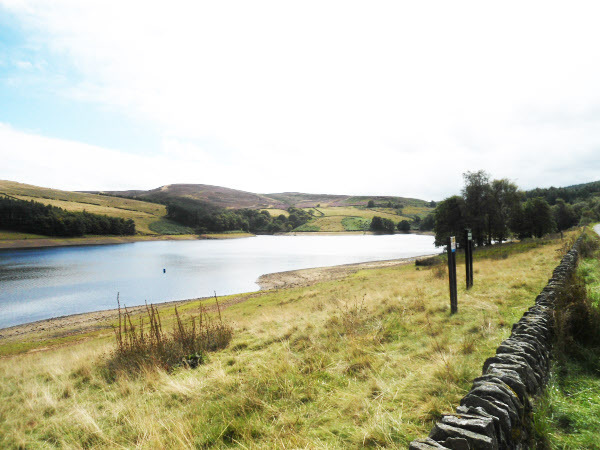 Just behind the dam wall on Fernilee reservoir you will see what is known as the valve shaft. 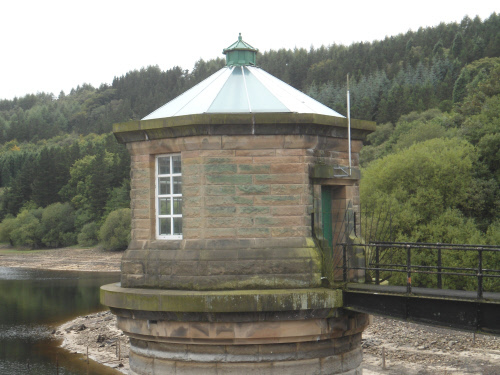 It is the round building that sticks up above the water line and there is access via an iron walkway. Unfortunately the gate and door are both locked so you can’t get in. If you walk by the building you will see that a lot of the stones, which came from Errwood Hall by the way, are painted green. 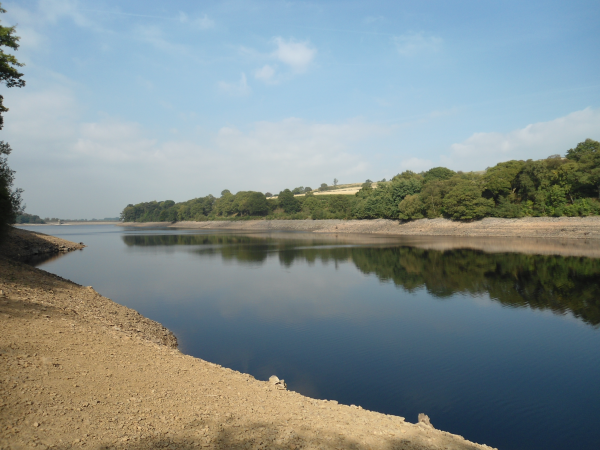 This was done during the war to prevent any of the ever alert Luftwaffe pilots from seeing it and deciding to drop a bomb on it perhaps resulting in the demolition of the reservoir and the loss of all the drinking water. This must have seemed a very good idea at the time but surely any Luftwaffe pilot or squadrons of them even might not have noticed the newly camouflaged Valve Shaft but they would have certainly needed some windolene on their goggles if they failed to notice an 86 acre stretch of water held back by a completely straight line which was the dam wall. I suspect it was a branch of Captain Mainwaring’s Home Guard who undertook the work. 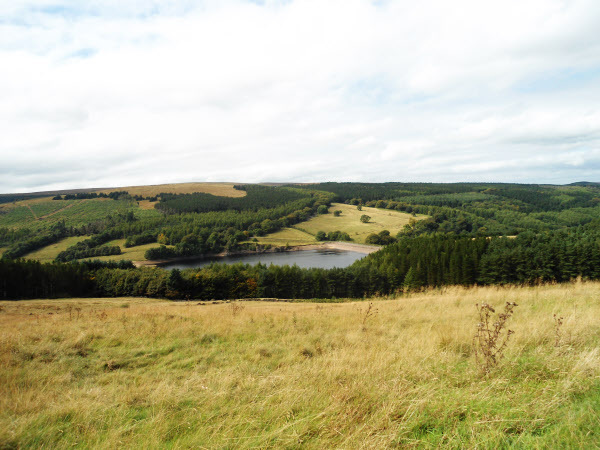 All the photographs on this page were taken in September 2014. 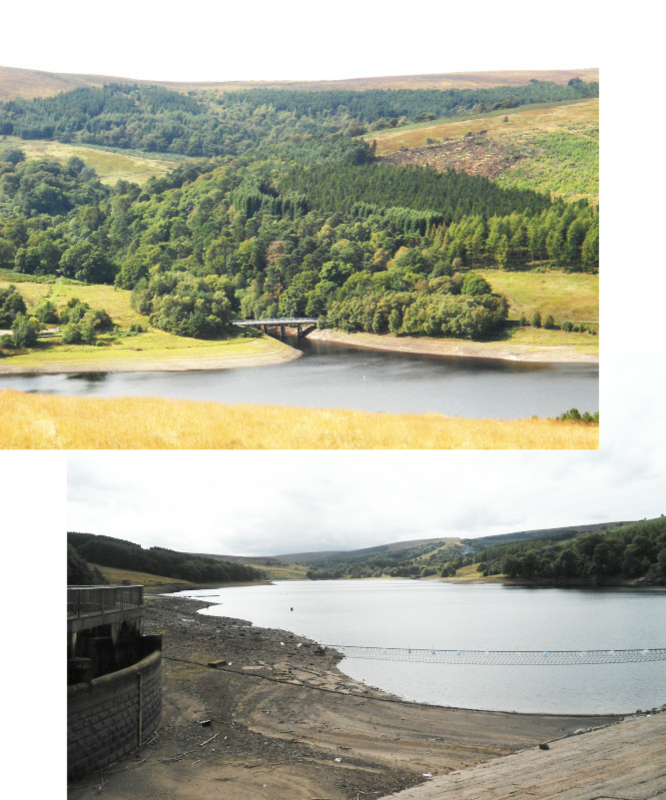 Errwood dam, bottom left, with Fernilee Reservoir on the right. 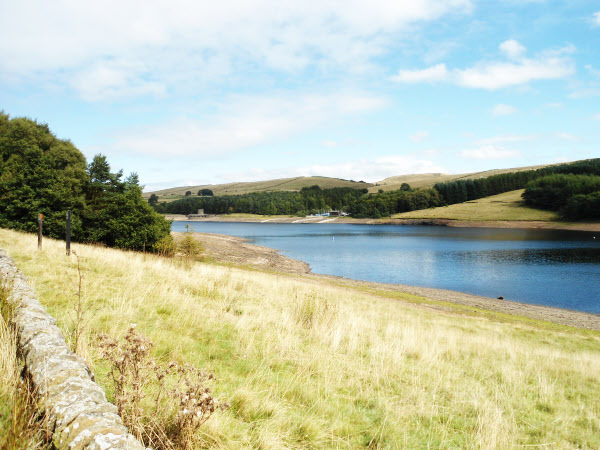 The following are all Errwood Reservoir. 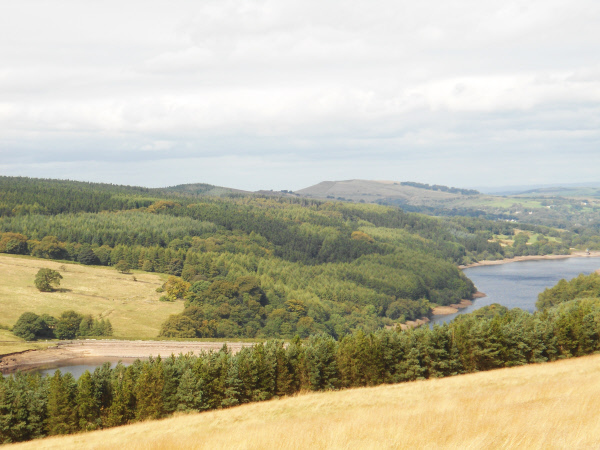 Fernilee Reservoir looking towards Errwood Dam.